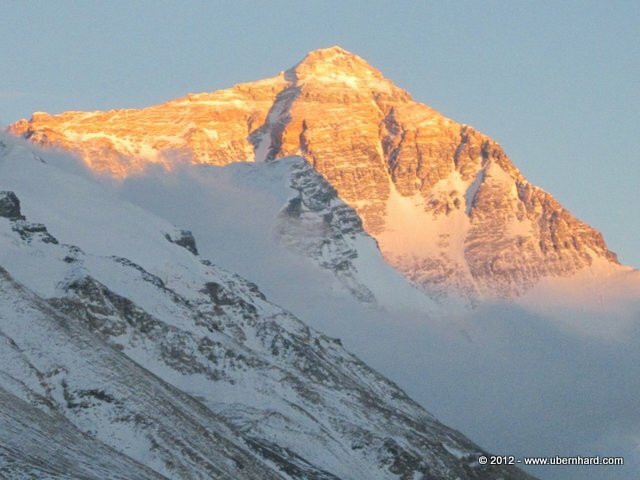 Welcome to my Mount Everest 2015 blog. After Kilimanjaro, Elbrus, McKinley/Denali, Aconcagua, Vinson and Kosciuszko I will be back on Everest again this year. After my 2011 climb when I had to turn back at 250m/800ft from the summit (see 2011 Everest blog). During my 2012 trip I broke two ribs in a Tibetan village and in 2013 I picked up a virus and had to turn back. Now, in 2015 I will be back again on the North Side of Everest. I am excited to experience the journey again. This year I will join the team of Kobler & Partner (http://www.kobler-partner.ch/en-home.html), today the most experienced and successful expedition company on the Everest North Side. Kari Kobler will be the expedition leader. He has summited Everest five times. We will be a team of about twelve climbers and I am convinced that it will be an exciting journey which will start in Kathmandu. Once all the equipment is checked and the visa cleared, we will leave Kathmandu on April 11 and this time I will travel overland the over 800 km with the Sherpas and the trucks with our expedition equipment. We will travel across several high mountain passes (over 5,000m/16,500ft) towards the Chinese Base Camp, our final destination. Along the way we will see some interesting towns, do some acclimatization hikes and take some rest days. From Base Camp at 5,200m/17,000ft the expedition will start up the East Rongbuk glacier to Advanced Base Camp (ABC) at 6,400m/21,000ft. From there the real climb will start.